East End is giving you the chance to enjoy a perfectly balanced lifestyle in Blackburn South. Positioned exactly between the Dandenong Ranges and Melbourne’s CBD, you can live a suburban lifestyle with easy inner-city access. And, with incentives like a 5% rental guarantee for the first 2 years, free white goods, free blinds and generously proportioned homes for great value, this is an unmissable residential opportunity. 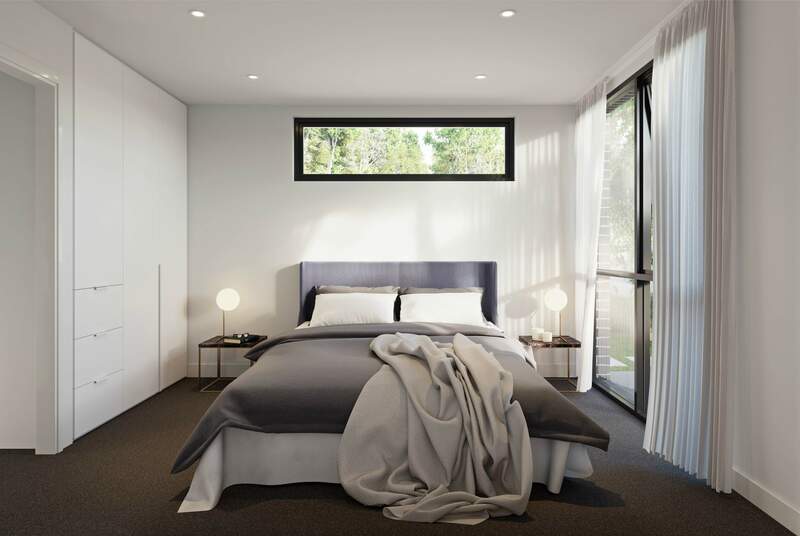 These luxurious homes have been brought to market by developer JPS, which specialises in delivering boutique property developments, and Point Architects, one of Melbourne’s leading, multi-disciplined architectural practices. With interiors designed by CoLAB Design Studio, East End has set a new standard in Melbourne’s east. Inspired by the surrounding parklands, each home features generous outdoor terraces and added landscaping on the ground level so you don’t have to travel far to enjoy the leafy character of Blackburn South. Meanwhile, the interiors are delicately contrasted. Inner-city styled open plan living spaces meet luxurious timber finishes, flowing into designer kitchens with island benches and intelligently designed overhead storage. Premium kitchen appliances blend with custom timber veneer joinery, beautifully enhanced with brushed gold-bronze pull handles transforming this space into the heart of the home. This elegant yet natural design is evident throughout the rest of the residence. Bedrooms are a picture of luxury with plush carpets, built-in robes and black-framed full-height windows which allow an abundance of natural light into your sanctuary. The patterned tile feature wall in the bathrooms will have you feeling like you stepped into a refined spa retreat while floating cabinetry, backlit mirrors and an overall feeling of spaciousness complete the classic design. East End not only ensures your home is expertly designed, but you also have the natural beauty of the Dandenong Ranges within reach. Wake up early one morning to see the sunrise across the ranges from the Kalorama lookout, just minutes from the cascading waters of the Olinda falls. Or, explore the many hiking paths on offer within the ranges, including the famous 1,000 steps challenge. You don’t have to visit the Dandenongs to get close to nature. At Gardiners Creek, just a 5-minute walk from your doorstep, you can enjoy the walking trail to Blackburn Lake Sanctuary. For any golf enthusiasts, nearby Box Hill Golf Club is a great place to stop and practice your swing or refresh with a beverage in the bistro while enjoying the view of the lush green lawns. If you’re a late riser, grab breakfast at the popular local Aunt Billies Cafe, or refuel with delicious, freshly baked pastries at the family-run Honey Thief Bakery. Alternatively, head to Box Hill Central where you can find a variety of shopping and dining options — from cafés, restaurants and supermarkets to fashion and specialty stores. East End is situated squarely inside the Box Hill School catchment zone, one of Victoria’s best performing and most sought-after school areas. Box Hill High School is only 2km away, while other outstanding educational institutes like Laburnum Primary School and Deakin University are nearby. And, with a bus just outside the door, getting to and from these places will be a breeze. Other public transport options, like the three nearby train stations and access to the Monash and Eastern Freeways, mean getting to the city can take as little as 30 minutes. Enquire here today to find out more about East End’s luxurious residences in Blackburn South.